1 bead per lap. 1/4 mile lap. 81 beads. It’s estimated that 1,529,560 new cases of cancer were diagnosed and 569,490 cancer related deaths occurred in the US during 2010. 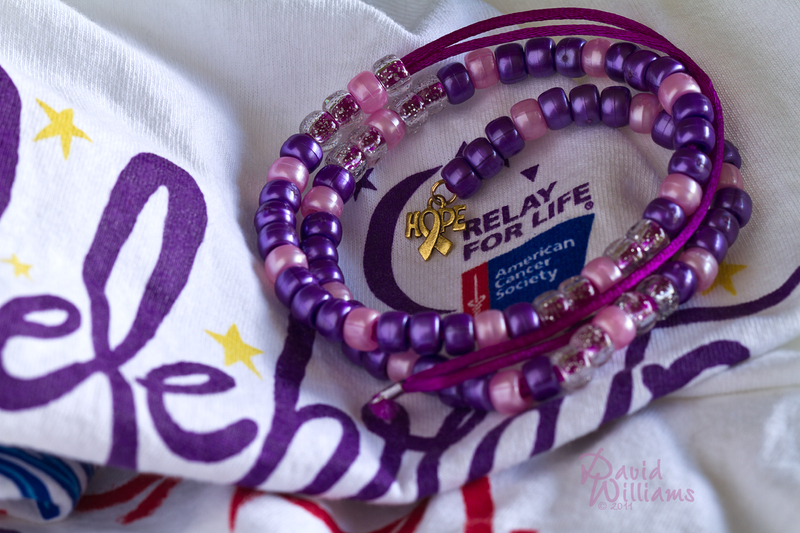 Each year, The American Cancer Society hosts Relay For Life where teams are created to help raise funds to fight and find the cure. I guess one could say it’s sorta of like a walk-a-thon, there has to be a team member on the track walking/running/rolling/strolling at all times. Relay started at 3pm Saturday and ended around 9am, Sunday! Locally, our event had 85 teams and raised $95, 894! Way to go Skagit County, woooot! That takes care of two cures in one, exercise and helping others. Awesome. Nice photo display too. I had a great time at the event, thanx for the comment Martina. Great job David on the relay! And nice photo too… I would love to participate with you next time. It’s not the amount you walk but more so, that you walked! Thank you for walking and here’s to next year! Thank you for stopping by and commenting Mimi, hope to see you around. congratulations, that is fantastic ! Congratulations! Such a great cause…one close to my heart. Thank you Bonnie, always happy to do my little part in the fight.